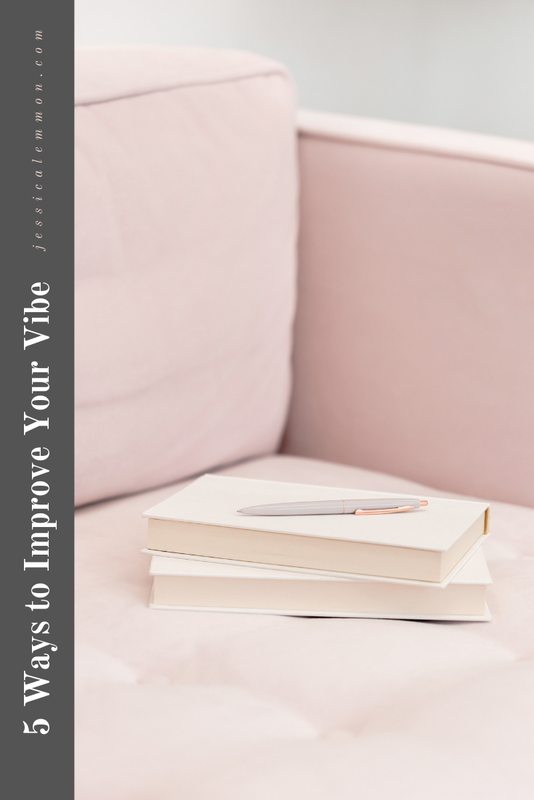 If you've ever heard of the law of attraction or vibration then you know that your vibrational energy (yep, it's a thing) is attracting to it things that have a matching vibrational energy. It means that if you believe good things are coming your way, that money appears out of nowhere, that everyone loves you, you will start to see evidence of that your beliefs are true. 🌸 Think well. Focus your thoughts on what you WANT, not what you don't want. Remember: What you think about, you bring about. 🌸 Avoid bad news. It’s not impossible, you know. Don't scroll Facebook when you know your aunt always complains about politics, or make the simple choice to not watch the news. (I unsubscribed from a news-summary style newsletter for this very reason.) If there is something affecting the world that is HUGE, I promise you’ll hear about it. There’s no reason to poison your happy vibe first thing in the morning with a dose of sensationalized gossip. 🌸 Look around. You're in vibrational harmony with those who surround you. Who's hanging out with you? Is this what you want for your life? Change your energy (thoughts) and those people who don't match up will naturally fall away. 🌸 MOVE. Slumping over your phone scrolling through Instagram is almost guaranteed to give you FOMO or topple you head over heels into the comparison trap. Avoid both by shutting off your device and doing 10 jumping jacks. Then do 10 sit-ups. Then run in place while you’re at it. Stagnant energy is not good. 🌸 Write an affirmation. Just one to focus your good vibes on what you want for the day. Maybe it’s as simple as “I’m feeling strong and centered” or “The universe is on my side.” Write it on a sticky note and post it where you will see it multiple times a day. Being intentional about the way you’re feeling takes practice, so don’t beat yourself up if you don’t fall naturally into the rhythm of positive thinking. Wake up every day grateful and focus on the good. There’s always good if you look for it! Pin this blog for later when you’re in a funk by using the photo below! COMING SOON FROM JESSICA LEMMON!